Categories and finalists appear below and a complete list including detailed descriptions of each award is available on the Bing Agency Awards website. Awarded to an individual that in an innovative and engaging way evangelizes Bing Ads and drives Bing Ads brand awareness and affinity internally as well as in the industry. Awarded to an agency executive (in leadership position, with national influence) who has done an exceptional job in championing the Search practice and showed a commitment to partnering with and investing in Bing Ads. Awarded to the agency with the largest growth of its Bing Ads spend and product adoption since July 2017. Awarded to the agency or technology partner that showed excellence in leveraging Bing Ads audience products in a smart and innovative way to increase usage of Microsoft Advertising Platforms. Awarded to the agency or technology partner demonstrating the strongest commitment to diversity and inclusion, both in the day-to-day, as well as through specific activities and initiatives. Awarded to an agency or technology partner who demonstrated innovative and growth hacking usage of Bing Ads tools, products, insights and solutions. 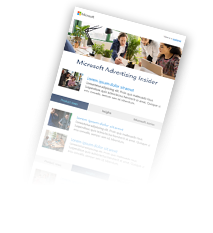 Awarded to an independent agency that engages with Bing Ads in partnership, grows its Bing Ads spend and product adoption, and exhibits ingenuity and creativity around product application and optimization. Awarded to the agency that demonstrates commitment to charitable organizations, in the day-to-day as well as through specific activities and donations. Based on the Bing Ads March Match Up contest, we are recognizing the hard work required to study for and take the Bing Ads Accreditation test. Winners are Resolution Media (United States), iCrossing (United States) and iProspect (Canada). 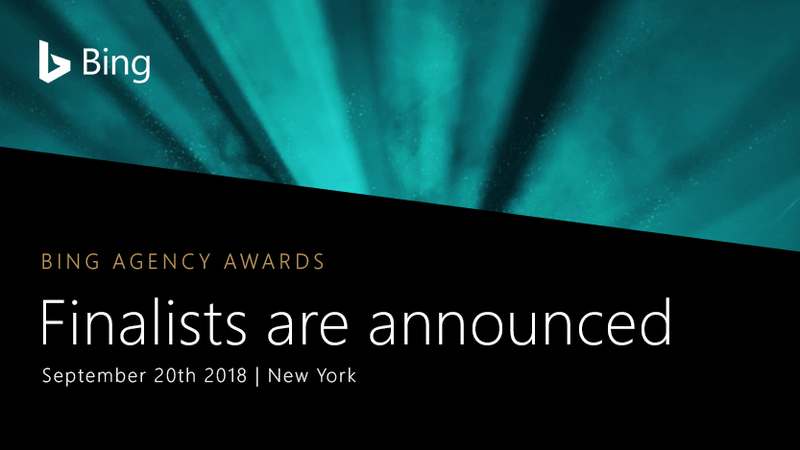 Lifetime achiever of the year, agency of the year Brazil, agency of the year Canada, agency of the year United States and Technology Partner of the year will be awarded at the Bing Agency Awards. Congratulations to all our finalists and we look forward to celebrating with our finalists and winners at the Bing Agency Awards on 20th September 2018. Learn more about this event today.